When you think of basketball, Jews are not the first thing to come to mind. Not for alte-kakers that have been around from the start of the sport. They’ve witnessed Ossie Schectman score the very first basket in the history of the NBA. Mr. Schectman died July 30th 2013 at the age of 94. In 1956, a Jewish player named Ossie Schectman scored the first basket in the first game of what would become the National Basketball Association. “Until I started doing research for the film, I didn’t really know the profound impact that Jewish players had on the game, or the profound impact the game had on the Jewish community,” Vyorst said. 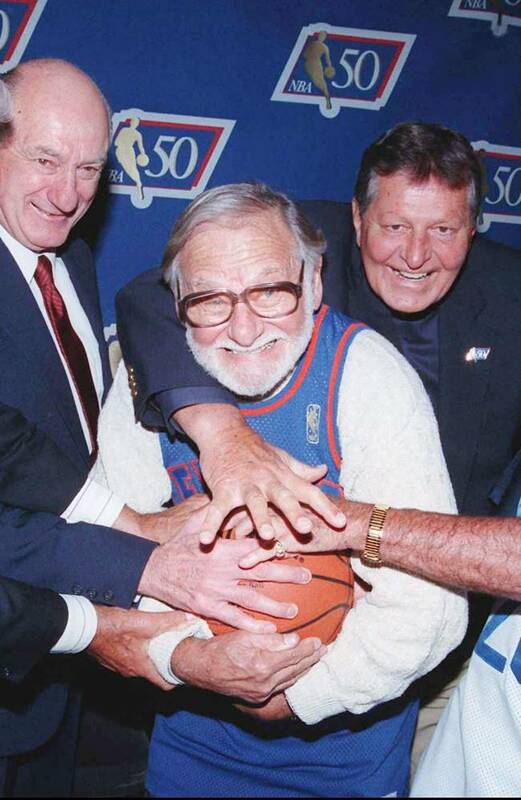 Benjamin “Ossie” Schectman, the man who scored the first basket in NBA history, for theNew York Knicks, has died, the team announced. He played for the Knicks in 1946-47, averaging 8.1 points and two assists per game, though he is widely known for his layup on Nov. 1, 1946, against the Toronto Huskies. Schectman, a 6-foot guard, scored the opening basket of the Huskies’ game against the Knicks, which was the first in NBA history. In a 2003 interview with ESPN, Schectman recalled the basket as a layup on a give-and-go. Schectman was born in Queens and grew up in Manhattan. He played college basketball at Long Island University. He helped LIU win the NIT championship in 1939 and 1941. 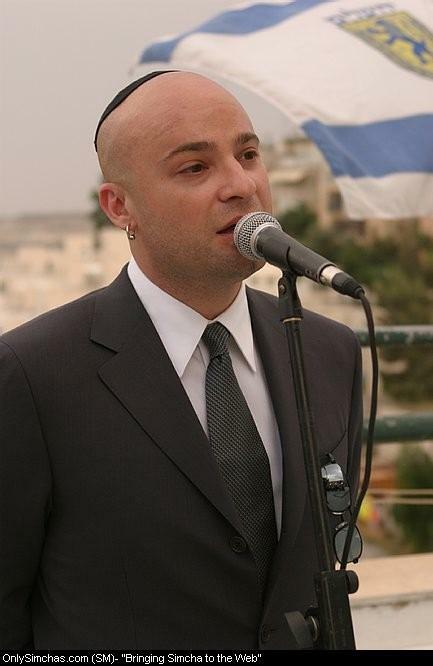 Disturbed heavy metal front man David Draiman took a stand against Roger Waters today. After much analysis, our counsel has determined that his JEWBELLISH SCORE has been raised 3 POINTS today. Below is his ALL CAPS tweet against Roger Waters followed by his gracious tweet responding to his 3-point Jewbellish Score rise. Are Kate Middleton and her Royal Baby Jewish? 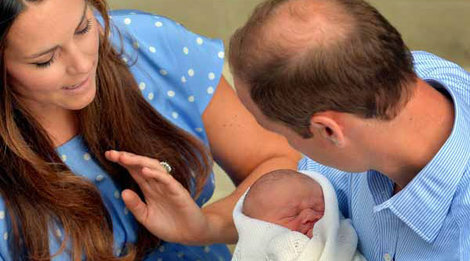 In fact, the new heir was born in a “Jewish” wing of St. Mary’s hospital. A Sephardic Jew, Frank Charles Lindo, paid for the wing in 1937! He must be shepping some nakhes! True, unlike most newlyweds today, the Duke and Duchess of Cambridge don’t have to worry about finances, debts, child care, or university. Ever since Kate, who stems from the tiny village of Bucklebury, became the new fairy tale Duchess, she’s become the “IT” girl of the century, and she’s a “hit.” Modern, educated, and hands-on, everything about her becomes “trendy.” So, let’s watch the birth rate! The national and international mood is soaring at this mind-blowing and mind-changing event and I can hope that the royal blessed event will make having children a “hit” once again. Natalie Portman’s Jewbellish Score just went up a point. Even after her Academy Awards and A-List star power in the United States, she still remembers her roots. She’s going to film in Israel. As with most Israeli productions, Natalie will be doing everything. She’s writing, acting and directing in a film adaptation of Amos Oz’s memoir, ‘A Tale of Love and Darkness.’ She’ll probably put up all the imported talent at several relatives homes instead of hotels. That would make it a true Israeli production. Natalie Portman just received a grant for NIS 2,550,000 from the Jerusalem Film Fund to direct, write and star in a film adaptation of Amos Oz’s memoir, A Tale of Love and Darkness. The book tells the story of the author’s mother’s mental illness and his father’s attempts to help her. It takes place in the Forties. Portman has been speaking in interviews for years about wanting to direct and act in a film version of this work. Filming is tentatively scheduled to start in January, with Portman playing Oz’s mother. The actress, who was born in Israel, won an Oscar for her performance in the film, Black Swan, in 2011. She has directed and written one short film and a segment of the omnibus film, New York, I Love You. She is fluent in Hebrew and has acted in an Israeli film, Amos Gitai’s Free Zone in 2005. After she graduated from Harvard, she spent several months studying at the Hebrew University of Jerusalem. She is married to Benjamin Millepied, the choreographer she worked with on Black Swan, and has a son named Aleph. The Jerusalem Film Fund awarded grants totaling nearly NIS 6 million to 11 new projects, out of 114 that were submitted. The Jerusalem Film Fund was founded in 2008 to support films that are set in Jerusalem. Natalie Portman’s Hebrew Interview: “I’m a big fan of Amos Oz”. Netflix will accept all their Emmy awards at the same time. Jewish mothers are shocked if you pick up the phone and shocked if you don’t. Oy! I fell asleep before I had a chance to take my Shabbos nap today. Shavua Tov!